Dying to know what's going on. Wei: Lets make a bet. Wherever you go, you and I one day, will meet again. shen said goodbye to Zhao while crying. and Zhao also sacrificed himself to burn the LAMP? @RPM It said the person is speechless about the ending, don't want to talk about it anymore. When Young lord of ghost smiles , it melts his heart. to Both Teachers, look forward to the future. Guardian girls don't say goodbye. so they go with scenarios both Shen and Zhao died. So instead of killing Shen Wei, they killed Zhao Yu Lan too? because Guardian Lamp can only be activated if Zhao sacrificed himself as the burner. Novel is a happy ending. why butcher it and make both leads died. 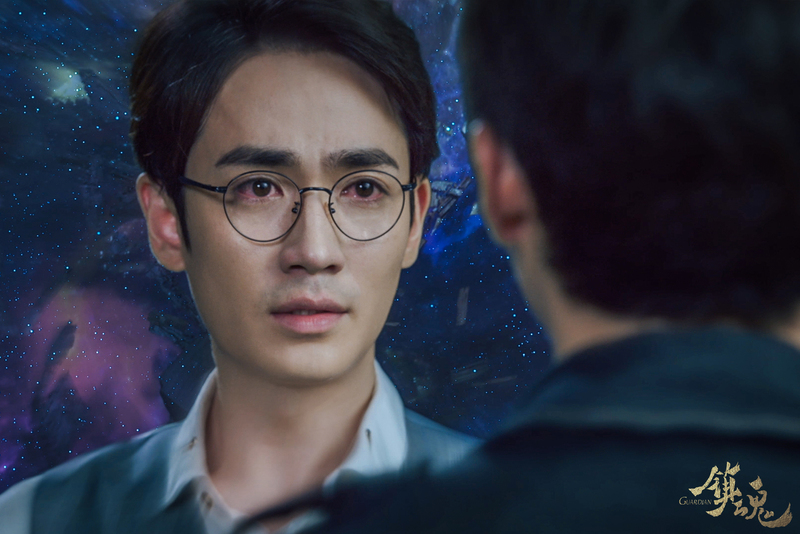 Shen Wei rescued everyone, Zhaoyun Lan Shen Wei is not immediately found, when you see Lin Jing, the way he knew Shen Wei saved everyone has chosen not save himself; know when Shen Wei has long planned to sacrifice himself to save everyone, and suddenly, sad, weakness, pain; Wang kid who laughs last is simply to restore the phrase "I finally worthy of you"; Zhaoyun Lan decided to burn himself to save the world, in fact, are afraid, who are not afraid of living death fire burning ..
OMFG, I wonder why the scriptwriters are so stupid, millions of fans wanted happy end, NOONE, I repeat NOONE wanted the this to happen...don't they make drama to make money and get positive feedback?...after this, it's like they crossed everything that was good in all 39 episodes before...why would you do that...just WHYYYYY...what's your goal? To p*ss everyone off?...what the f* is wrong with them? I am not so sure but I read somewhere that only ZYL can activate the lamp right or is Kun Lun? But when I read the synopsis of the ending, why am I not feeling upset? I have a feeling that deep in my heart, the ending is not what everyone wants it to be. I'm not sure I'm crazy or not, but I am not feeling upset at all.. Yesterday i was soo nervous what is going to be but today I was calm thinking about it.. Exactly..nobody want sad ending. How dare they deviated from original novel and then make such ending. Now I need to watch your crack videos to soothe my heartache =( =* this is way too painful. Watching through 39 episodes and 7 weeks only to see this sort of ending. What in the world. Here are 3 names of the screenwriters. If they have social media accounts,; bet millions of fans will savagely get back at the screenwriters. So insane ..
And there's no cut scenes youku uploaded. Episode is not yet available why. Normally by now ep40 (raw) should have been uploaded but I checked until now, not yet.. So he threw the pendant to Zhao . Inside the pendant was lollipop wrapper. Blegh, so in the end all the foreshadowing of their lives being connected is to kill both of them off. Such a cheap way to make an impactful ending. At least give a rebirth teaser or something, life is hard enough without this depressing nonsense. Why can't the gays have a happy ending, huh? Why must it be tragic? Although the real tragedy is that Guo seems to be the new boss of SID. While he is a decent enough individual, he is just tragically stupid and clumsy (seriously dude, you accidentally close the cage where the button to stop freezing is,??? I know it's just bad writing, but that's his character in the drama). So all that sacrifice is for nothing, humanity is doomed. Guo is probably going to accidentally set off a nuclear war. Or was that ending timeless space meeting supposed to be the happy ending? Shen says he bet they would meet again, and that is them meeting? I want my happy endiiiing. Or at least a moderately not soul-destroying ending. 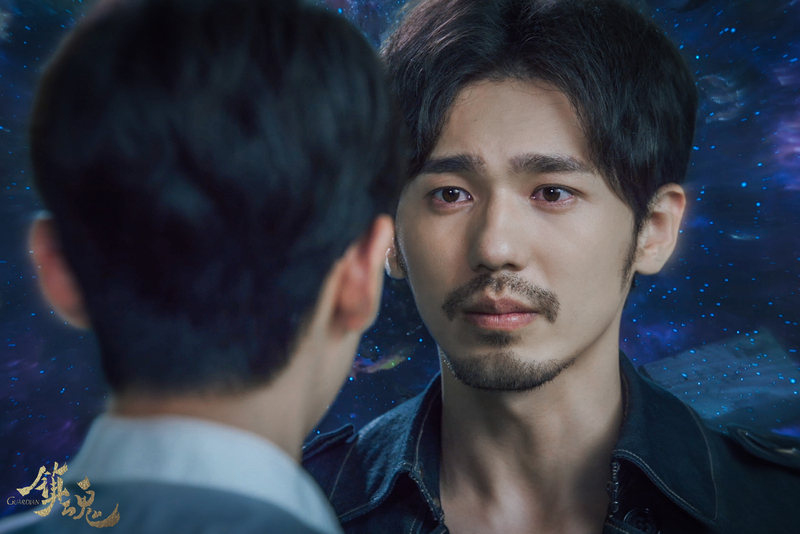 ETA: Okay, so having seen the 3 excerpts, I guess the ending is that after death they meet in the timeless space, where Shen Wei says he made a bet they would meet again. And then they smile at each other happily through tears. I can accept this ending, at least they are together after death. (What is there to do there, there's not even a chair). Better this, than that only one of them dies. Maybe they'll be reincarnated/reappear to fix the world after Guo starts a nuclear war accidentally. I can live with this ending, don't need to saw at my blood vessels. The pendant was totally the lollipop wrapper, what a cute crush. ZYL looked touched.